A new project has been travelling between two of the ugliest train stations in all of England. 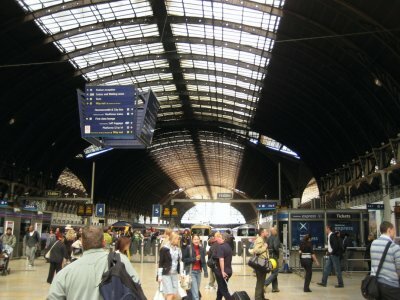 London has a lot of a train stations. When the trains first started coming into London, the city decided to keep the terminuses at the periphery of the city, not allowing the trains to enter the medieval centre of London and Westminster. Those that governed the city didn’t want the city to become an industrial wasteland of train lines criss-crossing the capital. A number of companies were set up to bring cargo and passengers into the city, and each company built their own terminal within London. The terminals today circle the city, each station like the shoulder joint of the tentacle of a large 11 to 14 armed monster. 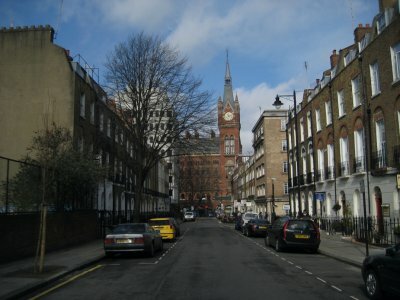 Victorian fronted buildings with large train sheds behind them, giant gaping mouths shooting trains from London and off in all directions into the English countryside. 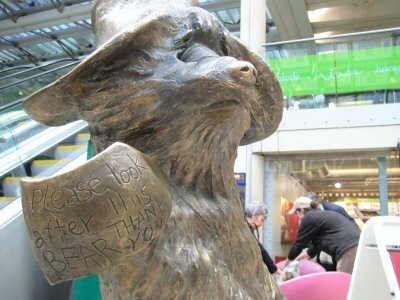 Most famous to those outside London is probably Paddington, mostly because a small Peruvian (and fictional) bear was found there and named after the station. Paddington station was built in 1838 by the Great Western Railway to serve southwest England and Wales. Today, in addition to serving those destinations with trains, it also provides a vital link to Heathrow airport for those flying into and out of London. 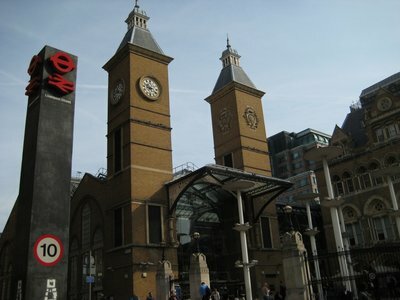 The two stations I’ve probably mentioned the most in my blog are King’s Cross and St. Pancras. The stations sit shoulder to shoulder. King’s Cross was built first, in 1852 by the Great Northern Railway serving the north of England and Scotland. 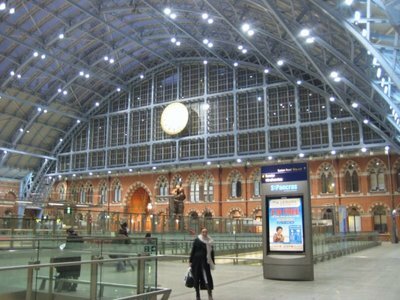 St. Pancras was built by 1868 by the Midland Railway after the nearby Euston Station got overcrowded. King’s Cross has been in constant use since that time, but St. Pancras fell into underuse and disrepair, only to be brought back to life and revitalized thanks to the decision to terminate high-speed services from the continent into the station in the 1990s. 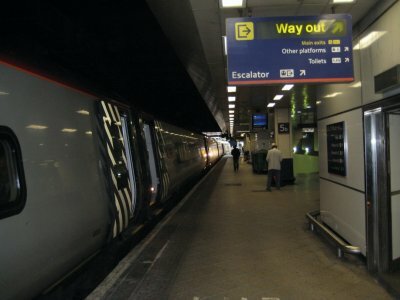 The Eurostar first started running into St. Pancras in the fall of 2007. Other key stations in London include the southern facing stations of London Bridge, Blackfriars, Cannon Street and Victoria. 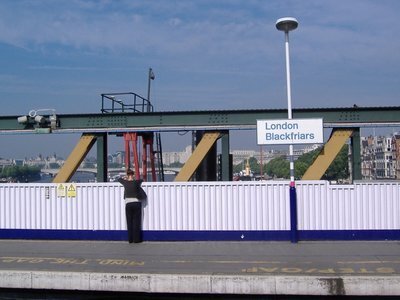 Blackfriars, Cannon Street and London Bridge are all in the process of renovations to increase their capacity and make the stations easier to use, including the fact that Blackfriars will be the first station with entrances on both the North and South side of the Thames River. Looking north and east are Fenchurch Street and Liverpool Street, which has become something of an internet phenom recently thanks to the T-mobile add which featured dancers in the lobby. I’ve used many of these stations when heading out on my trips around the UK or off towards the mainland, though I haven’t yet caught a train out of Cannon Street, Liverpool Street or Marylebone, a northward station not far from Paddington. Recently, I’ve started working up in Birmingham on a new project. Birmingham is a city in the midlands, the middle of the country of England. Despite being smack dab in the middle of the nation and thus one of the furthest cities from the coast in all of England, Birmingham is home to the National Sea Life Centre. 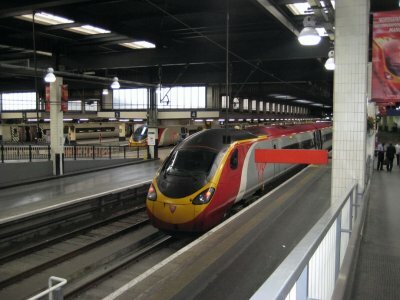 Trains to Birmingham run from Euston Station. Euston station was the first inter-city train station in London, having opened in July of 1837 as the terminus for the London and Birmingham Railway. 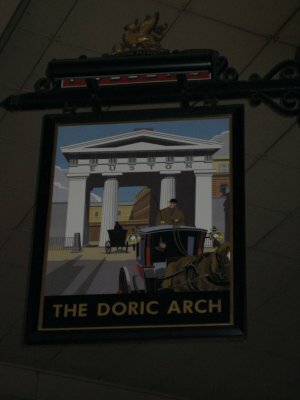 The station was fronted by a classical archway which became known as the Euston Arch. The station proved very popular, and in 1840 was expanded to include a giant Great Hall, with 70 foot high ceilings and classical statues representing the cities served by the station. 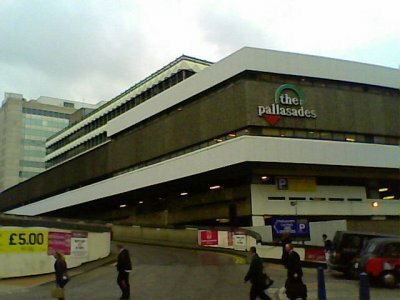 In the 1960s, the building was deemed inadequate for the future and was demolished to make way for a new Euston station built in the “international modern” style. 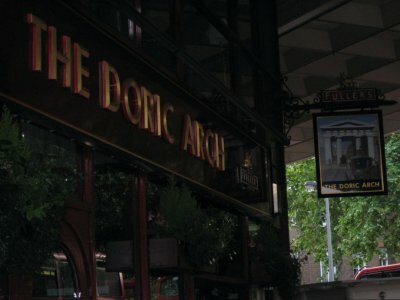 There was much concern about losing the arch, but it along with the grand hall was torn down. The rubble from the arch wound up being used to fill a hole in the River Lea. It opened in 1968, and has been loathed since. It is a low, flat and uninspired building. I have always loved train stations and airports explicitly for their sense of grandeur and pomp. Euston is nothing but ugly functional. Architectural Historian Gavin Stamp wrote that the station is entirely lacking any of “the sense of occasion, of adventure, that the great Victorian termini gave to the traveller,” which sums up my feelings pretty nicely on the station. 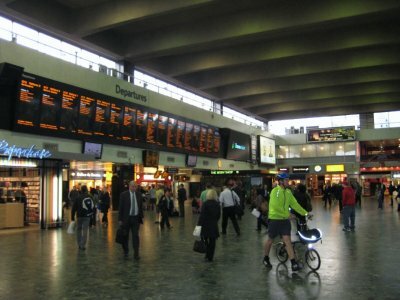 Euston may be ugly, but it is a beauty compared to the station at the other end of the line. Birmingham New Street station is appalling. I haven’t seen them all, but it has to be in the running for the ugliest and most unfriendly of all the stations in England. The current station was built in the 1960s after the old station was damaged during the Second World War. Like Euston, the station is a low concrete slab, this one topped by an ugly shopping mall and a car park. The tracks are dark and dingy. Walking up from platform level, you are confronted with a confusing station, with multiple entrances poorly marked. 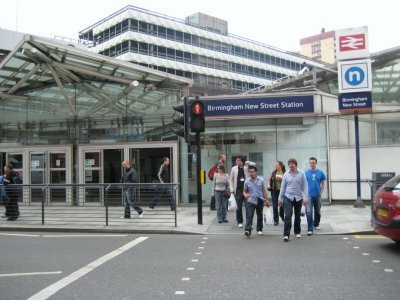 The first three times I came to Birmingham, I walked out of the station by the wrong entrance and wound up incredibly lost. I blame this on the fact that the station, named New Street, doesn’t actually front onto New Street. Instead, the front of the station is out onto a street called Queen’s Drive. 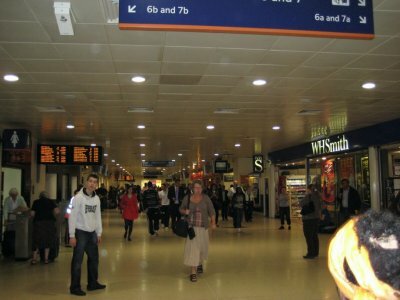 If you want to get to New Street, you have to exit through the rear of the station, which you need to access from track level. 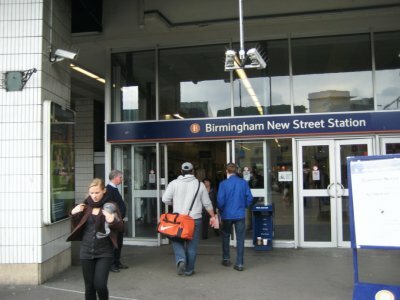 Once you have gone up to the main station level, you can’t get out to New Street. I’ve figured out how to get out of the station properly now, but it should be a lot more intuitive than it is. 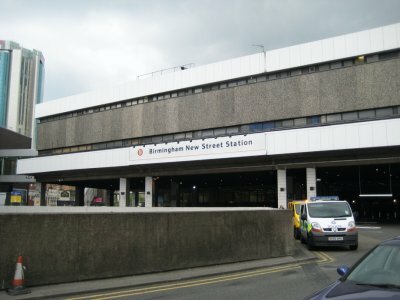 Even the back entrance of Birmingham New Street Station doesn’t come out onto New Street, but one street South of New Street. In case you think that it’s just me who is complaining, it’s not. 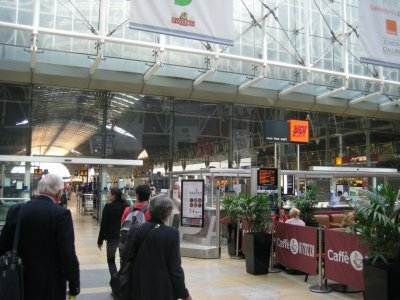 A 2007 poll of passengers gave the station a 52% customer satisfaction rating, tied for the lowest satisfaction of all stations across Great Britain. The station is also well over capacity, handling more than 1250 trains a day in a station built for 650 trains a day. As passenger numbers increase and train travel becomes an increasingly important mix of moving people around England (as it used to be before the car took over), stations like Euston and New Street are obvious targets for change. 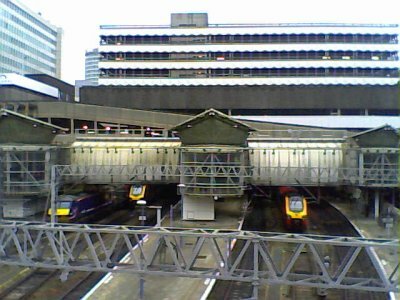 Announced as part of a £35 billion programme to remake rail in the midlands, Birmingham New Street station is set to be redeveloped into a glass and steel swoop by 2014. Personally, I like the modern glass building. It’s light, airy and looks easy to move about in. (Though of course I am concerned that perhaps people said the same things about Euston and New Street when they were developed in the 1960s). Even if you don’t like the modern architecture, if you’d ever used Birmingham New Street, you’d probably be happy for any change. 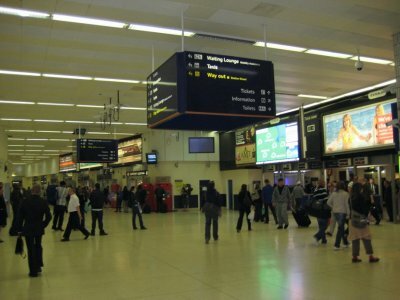 Euston is also set to be redeveloped, though the timing on it has been pushed off due to the credit crunch. 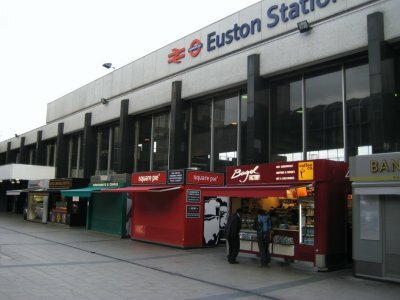 However, if it goes through, Euston may yet get back her arch as more than just a pub name that remembers the past.